Gavin Darby, Chief Executive of Premier Foods, has been elected Food and Drink Federation (FDF) President 2017 in succession to Dame Fiona Kendrick, CEO and Chairman of Nestlé UK and Ireland. 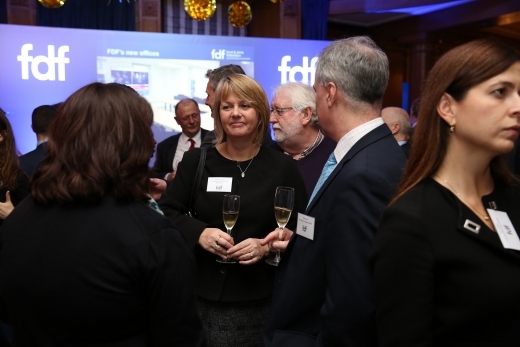 The announcement was made at FDF’s annual President’s Reception at the Marriott County Hall Hotel, London. 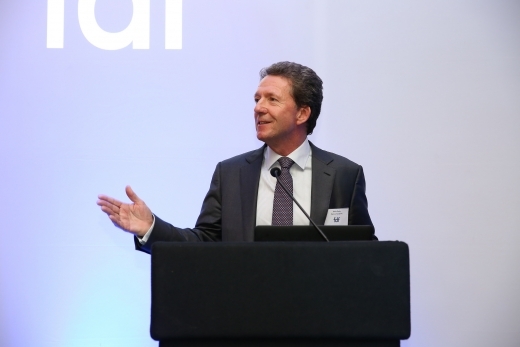 The event was attended by approaching 300 food and drink manufacturers, MPs and other stakeholders. Rt Hon. Andrea Leadsom MP, Secretary of State for the Environment, Food and Rural Affairs, gave the event’s keynote address. Gavin Darby and FDF Director General Ian Wright paid tribute to Dame Fiona, noting the achievements during her tenure. Ramping up FDF’s efforts to address the looming skills gap has been a core priority during her Presidency, which began in January 2015 with recognition for the Nestlé CEO and Chairman in the New Year’s Honours for services to the food and drink industry and skills development. Dame Fiona’s passion and leadership ensured the first industry-led Food Engineering Degree course began at Sheffield Hallam University, with Dame Fiona providing guest lectures and facilitating senior industry engagement in the initiative. Most recently, Dame Fiona’s leadership of FDF’s productivity taskforce which, working with Sir Charlie Mayfield and other industrial partners, has helped secure the National Productivity Investment Fund announced in the 2016 Autumn Statement. Throughout the Presidency, the food and drink industry has benefited from an experienced and dedicated ambassador. Gavin will take up his role of President of the organisation in January 2017. The President provides strategic input and leadership to FDF, chairs its Executive Committee and acts as an FDF and industry ambassador. Outgoing FDF President Dame Fiona Kendrick, CEO and Chairman of Nestlé UK and Ireland, said: “It has been my pleasure to be FDF President over the last two years. The organisation has come a long way in that time, and has re-established itself as a strong and clear voice for our industry. Under Ian Wright’s leadership, supported by me and my Executive Committee colleagues, FDF has become an organisation that not only promotes the food and drink industry but helps to lead it. FDF President-elect Gavin Darby, Chief Executive of Premier Foods, said:“On behalf of FDF’s Executive Committee, membership and staff, our thanks go to Dame Fiona Kendrick for the exceptional leadership she has shown during her two years as President. This leadership has helped the food and drink manufacturing sector to better punch its weight, as a sector of our size and strategic importance should.